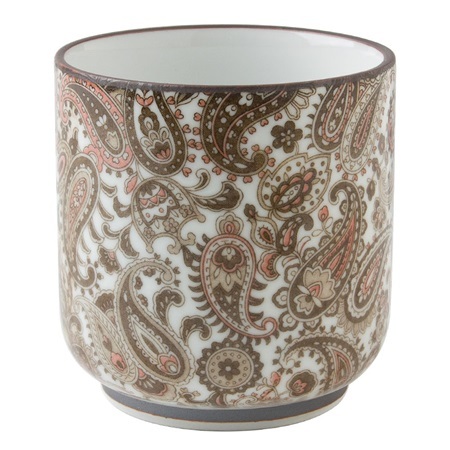 Miya Company - Brown Paisley Teacup 8 Oz. 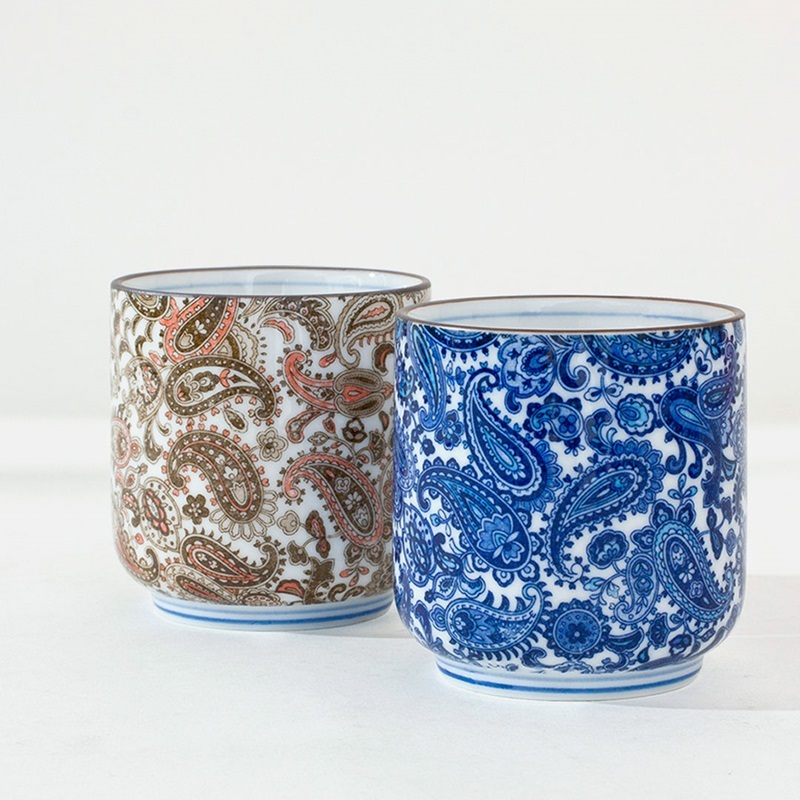 Brown Paisley Teacup 8 Oz. Warm your hands against a cup of hot green tea. Choose from an array of wonderful designs, shapes and sizes. Each one will enhance your tea drinking experience! This authentic Japanese style teacup features a popular brown paisley design. 8 oz. capacity. Microwave/Dishwasher Safe. Made in Japan.